Ex-cabinet minister Robin Cook has accused Tony Blair's government of "not presenting the whole picture" in the run-up to war with Iraq. He made the claim when he appeared as the first witness at a Commons inquiry into whether the threat posed by Saddam Hussein was exaggerated. Fellow ex-minister Clare Short followed - accusing Mr Blair of a "series of half truths, exaggerations, reassurances that weren't the case" in the run-up to war. She said she presumed Mr Blair saw the devices he used to get the UK to back America against Iraq as "honourable deception". Iraq was an "appallingly difficult intelligence target", said Mr Cook, as there was no hope of putting in any western agents and there were few leaks from Saddam's regime. The evidence of the two ex-ministers came as Mr Blair tried to recapture control of the political agenda in a speech to the left-leaning Fabian Society in which he argued the case for radical reform of the public services. Mr Cook, an ex-foreign secretary, told the MPs he had "no doubt about the good faith of the prime minister", but said the "burning sincerity and conviction of those involved in exercise" was a "problem". This conviction had led to intelligence material being carefully selected to back up their case for war - rather than being used as a basis for assessing whether or not Saddam posed a threat, he said. The London inquiry comes ahead of a similar probe by Congress in Washington into whether the Bush administration misread or inflated threats posed by Iraq before going to war. The US debate has been fuelled by senior senator Carl Levin, who claimed he had evidence the CIA deliberately withheld crucial information from the UN arms inspectors deployed to Iraq before the war to find evidence of banned weapons. In London, Mr Cook's evidence was being closely watched because he was the only minister to quit Mr Blair's cabinet ahead of the conflict, in his case because he believed the US-led coalition should seek further UN sanction before attacking. Ms Short quit her post after the war having publicly agonised before the conflict over whether she should stay on as international development secretary. Ms Short told the committee she believed the US and UK decided in summer 2002 that there should be a war against Iraq in early 2003. She said this timetable led to Saddam's threat being exaggerated; to "false" links with al-Qaeda being talked up; to the efforts for a second UN resolution being abandoned with the blame wrongly placed on France; and to the early curtailment of Hans Blix's inspection regime. The foreign affairs select committee is set to look in particular at claims that Iraq had the capacity to launch a strike using weapons of mass destruction (WMDs) within 45 minutes. Since the war was declared over, there have been no significant finds in the search for Saddam Hussein's WMD and in recent days there has also been a resurgence of military clashes involving US forces. Both the prime minister and his director of communications, Alastair Campbell, have refused to appear before the committee, which takes evidence in public and publishes its reports. And Downing Street said it would await the committee's report before it responded. A separate inquiry by Parliament's intelligence and security committee, which meets in private, is also going to look at Iraq's WMD. Downing Street has rejected calls for a full public inquiry into its pre-war claims about Saddam Hussein's weapons capability. Mr Blair has denied accusations a dossier about Saddam's threat contained intelligence information which had been doctored, insisting he stands "100%" by the evidence shown to the public about Iraq's alleged weapons programmes. Asked if intelligence had been "sexed up" to back the decision to go to war, Mr Cook said: "I think there was a selection of evidence to support the conclusion." He said he was "disappointed" by the quality of the intelligence in the September dossier as it did not provide "any recent and alarming" intelligence to suggest that Iraq was a current and serious threat. Mr Cook restated his belief that Iraq probably had no weapons of mass destruction. He said: "Such weapons require substantial industrial plant and a large workforce. 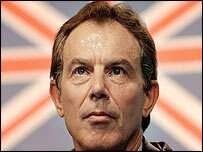 It is inconceivable that both could have been kept concealed for the two months we have been in occupation of Iraq. "I have never ruled out the possibility that we may unearth some old stock of biological toxins or chemical agents and it is possible that we may yet find some battlefield shells. "Nevertheless, this would not constitute weapons of mass destruction and would not justify the claim before the war that Iraq posed what the prime minister described as a 'current and serious threat'." 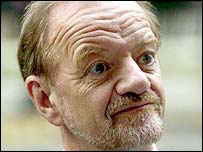 "Robin Cook said Mr Blair acted in good faith, deceiving himself with his own burning conviction"